Just what I needed after a relative had a heart attack answer now needs to be careful now I can feel safe he has these to carry. A great quality product, gives me peace of mind, that should I require emergency treatment, they can see my card and act accordingly. Great price, rapid dispatch. Highly recommended. A brilliant idea to alert people there is a medical issue with this person. The cost though is far to high for a couple of key tags and an ID card. Been looking for some sort of ICE device for a while, some can be quite expensive and the cheaper range don't normally allow for multiple illnesses/medications. This, with the additional info card is the best value for money I have found, does the job well. 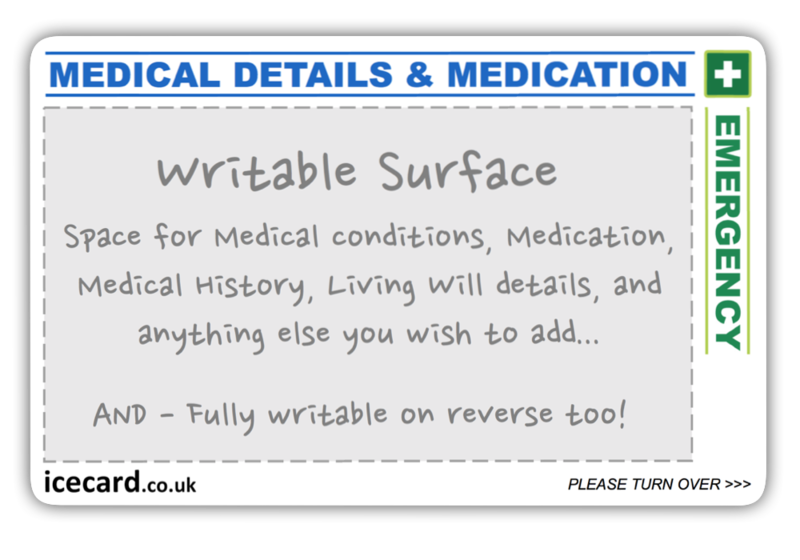 Stating illnesses on the front is great, I went for the most critical of my illnesses and listed the others on the additional card. Great product, great delivery time, great value for money. Excellent purchase that makes me feel a lot happier as if something happens, people will be alerted.